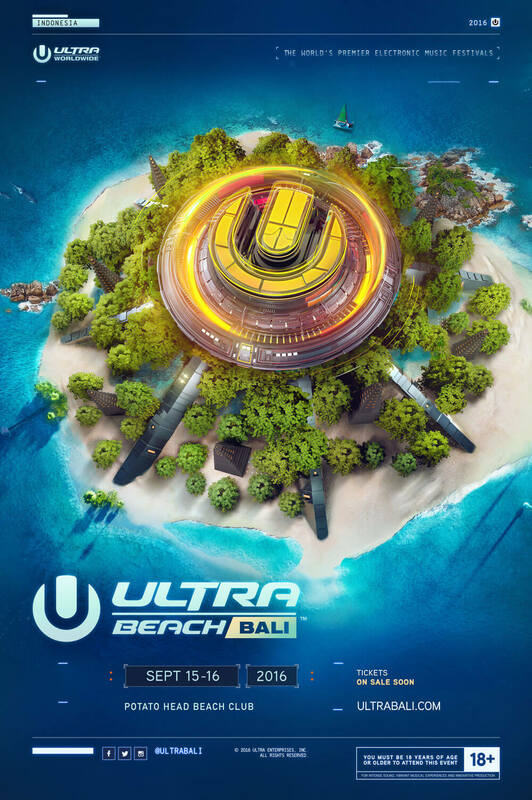 Having sold out in 2015 before making a single lineup announcement, ULTRA Beach Bali looks to up the stakes for its second annual edition, as it reveals the official dates and venue for this year’s two-day event, alongside the Official 2015 Aftermovie. Returning to the heavenly coastal town of Seminyak, ULTRA Beach Bali will pack the Potato Head Beach Club to its rafters on September 15 & 16, 2016, bringing the biggest and best international talents back to Bali’s sun-drenched shores. In anticipation, ULTRA Worldwide has released the Official Aftermovie for ULTRA Beach Bali 2015, which you can enjoy in 4K. Showcasing the stunning beaches and striking landscapes across ‘The Island Of The Gods’, Charly Friedrichs’ Final Kid movie sets the scene perfectly for what is fast becoming one of the world’s true destination festivals. Welcoming the likes of Skrillex, Kygo, Alesso, A-Trak, Fedde Le Grand, Gorgon City and many more in 2015, ULTRA Beach Bali will once again deliver three diverse stages, giving Indonesian fans and international travellers alike the very best selection in contemporary electronic music. The much-vaunted ULTRA Main Stage will make its return, in addition to the fabled RESISTANCE concept, which will showcase the very best talent from across the techno and house music spectrum. Finally, the UMF Radio Stage will have some of the best local talent on display. ULTRA Beach Bali will mark the official midway point for ULTRA Worldwide’s Asia September Tour, with an incredible six events taking place across the month in Singapore, Taiwan, Japan, Hong Kong and the Philippines respectively. Lineup and ticket information for ULTRA Beach Bali will be released soon. With tickets expected to be in extremely high demand, stay tuned to ultrabali.com for the latest, most up-to-date information. For all details on all ULTRA Worldwide events, go to umfworldwide.com.